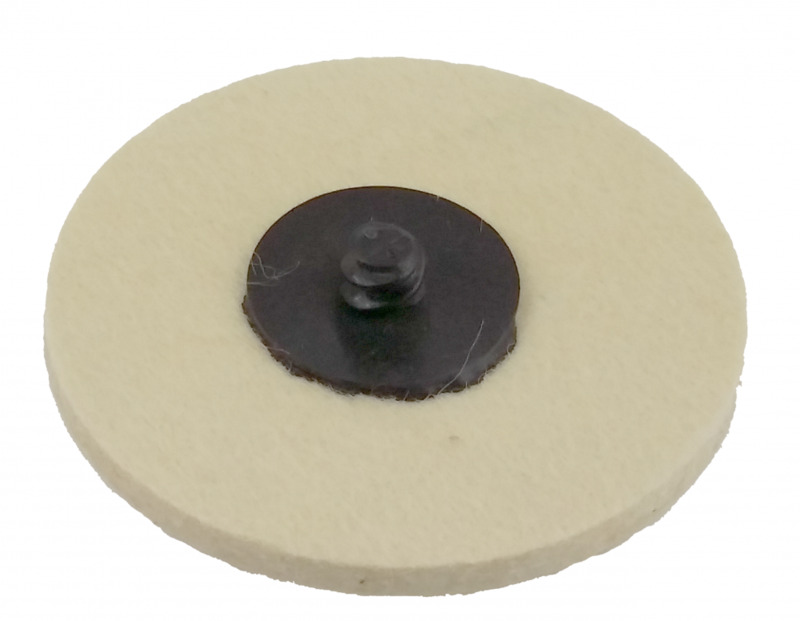 Applications: These Roloc compatible quick change felt discs can produce fine polished finishes on metal. They can also be used on wood and fillers. They are for use with suitable polishing compounds, such as PV102 to mirror polish stainless steel. We suggest keeping separate discs for different grades of polish to avoid cross-contamination. Use on Roloc / Lockit compatible holders. Final polishing is usually better achieved at lower speeds with a polisher or rotary sander, for example. Twist button mounted, compatible with Roloc and Lockit. 6mm felt thickness for long life.